Asgardia FORUM — DATA VISUALISED // WHY ARE SO MANY BABIES NOW BORN AT 8AM? 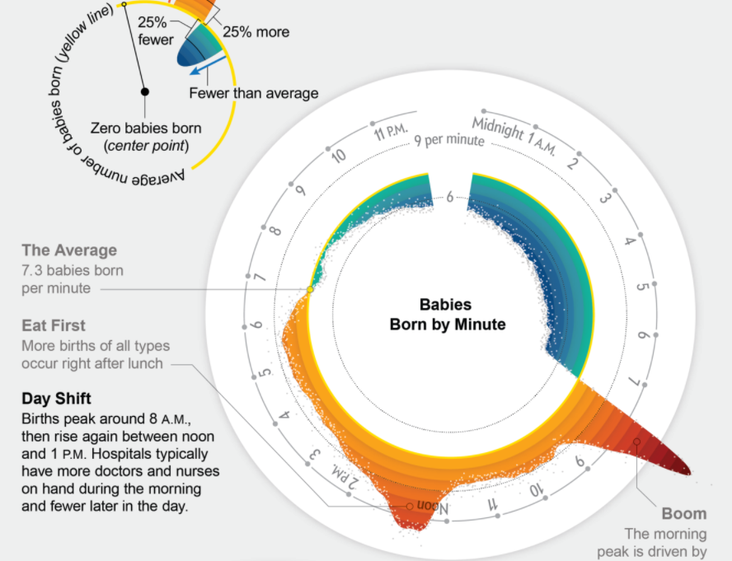 DATA VISUALISED // WHY ARE SO MANY BABIES NOW BORN AT 8AM? It's an interesting question! And what do you think the answer is? It's amazing at what data can tell us, especially when raw open data is visualised. In this example, the date and time of births are analysed and is presented in a way that it can be easily understood. Without the help of visualised data, looking at thousands or tens of thousands (maybe millions) rows of raw data, important information and understanding the data as a whole can be lost. We have the skills, the technology and the time to incorporate open data into the Asgardian decision making process. CLICK HERE for the full text and see why so many babies are now born at 8am.